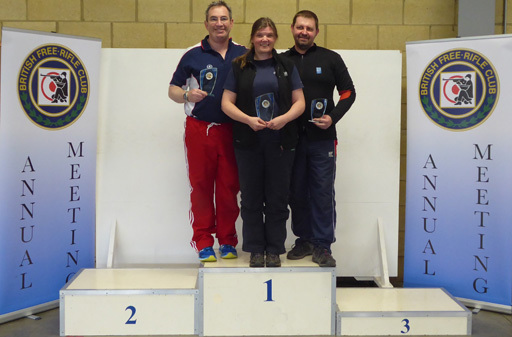 The BFRC 50 Metre and Air Rifle Open Meeting was held on the Malcolm Cooper Range in Lord Roberts Centre, Bisley on 21st and 22nd of April 2018. This year we were lucky with the weather being warm and dry, though this did cause some tricky shooting conditions. Entries were a bit down this year due to proximity to both the Common Wealth Games, Gold Coast, Australia and the NSRA Air Championships which were held the previous weekend. However the message remains the same as usual, BOOK EARLY TO AVOID DISAPPOINTMENT. This year, although it was warm, there was an interesting variable wind which made it difficult for most to achieve good scores. Also because the ground was so wet the warmth created shimmer and changes in conditions very quickly. Despite this a few shooters put up scores with which they were pleased. As last year we were using Match Manager software which means we can do full decimal scoring and give everyone a print out of there shots. I have to thank Alistair Joyce for running the software. Thanks also go to the range officers who keep the competitions running on the range with very little time for breaks for food and drink. I particular thanks to James Marsh-Brown, CRO, for keeping us all in order. Also many thanks go to the NSRA staff for keeping the ancient electronic targets working. 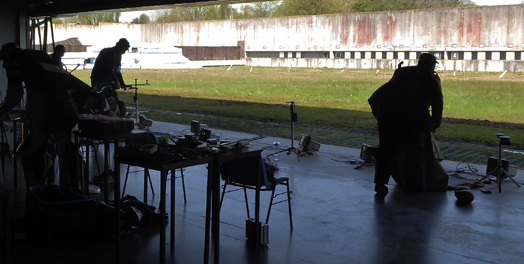 It is clear that a lot of hard work has gone into maintenance of the targets and we had no equipment failures this year. This year again we ran 3 English Matches on the Saturday. 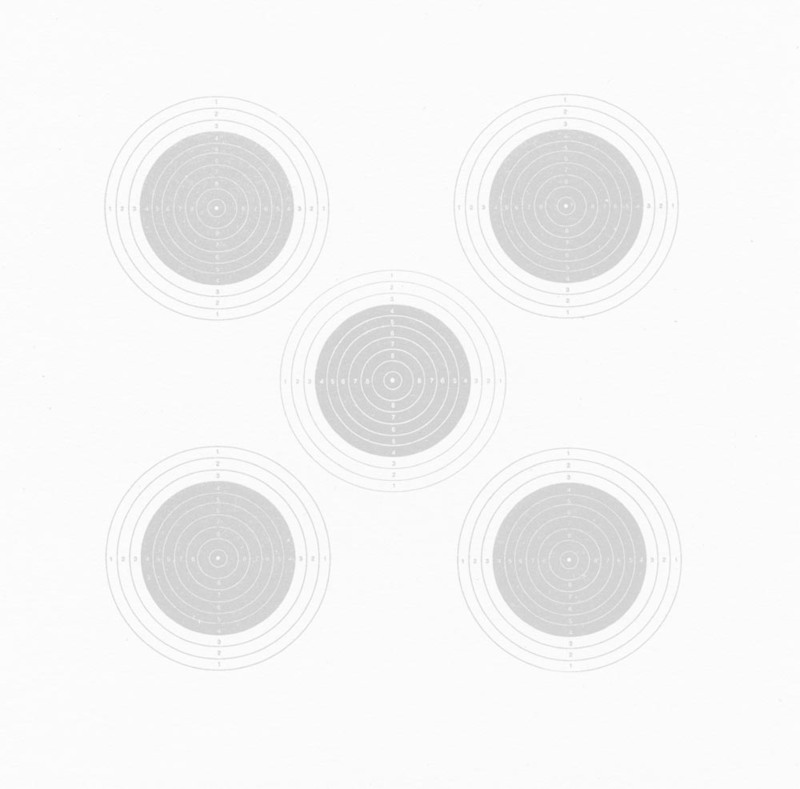 This format has come about because of the range limitations, with only a maximum of 40 firing points being available on the 50 metre range. As the timings on the day work out we will continue that next year, it means more people get the opportunity to take part. I moved the start time a little later on Saturday, as the light is acceptable and that was OK. Although it was quite tricky scores were better this year, possibly because it was warmer. 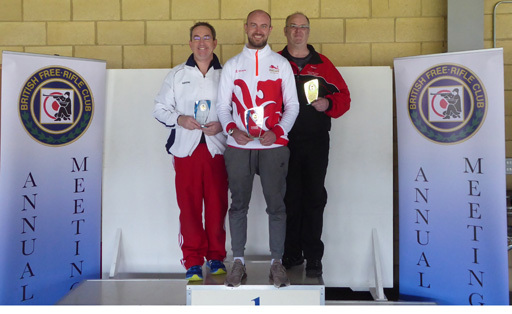 Kenny Parr (fresh back from the Gold Coast) took top spot in qualification with a score of 623.3, the next 7 qualifying for the final ranged from 616.8 down to 611.0. Kenny continued in fine form in the final with an impressive string of scores in the 10 ring to win with a score of 244.6. 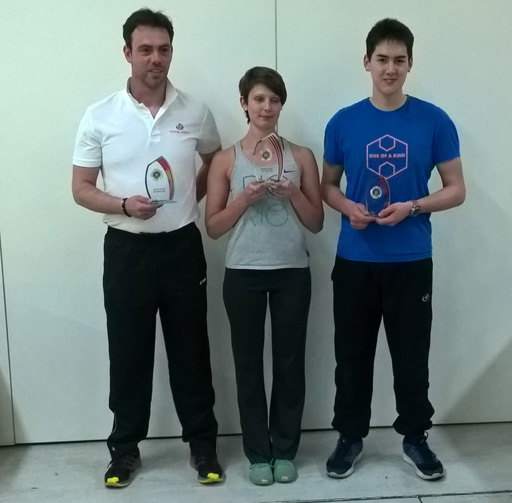 Matt Dixon took second, scoring 241.9 and Mark Parry took the bronze medal position on 220.7. The tricky fluctuating wind continued to cause problems for competitors in the second English Match, as can be seen from the scores. Despite a poor final string Vicky Holme took top slot with 616.3, just ahead of Dom Cowen on 613.2 and Matt Dixon on 613.0. In the final the same three took the three medal positions. Vicky Holme again coming out on top with a score of 244.7 (0.1 better than Kenny in EM1), but Matt Dixon, on 243.5 taking the silver position ahead of Dom Cowen on 222.6. Conditions seemed to improve for the third match, but this was not reflected in the scores. Perhaps with the dampness in the ground and the sunshine there was more going on than could easily be seen on the flags. However Karen Butler had a good shoot coming out on top with a score of 620.6, closely followed by Keith Simmons on 618.1 but then there was a gap to Sue Kirk on 613.2. Between 3rd place and 8th place there was only a gap of 2.2 points. In the final there was a switch of competitors taking the medal positions. 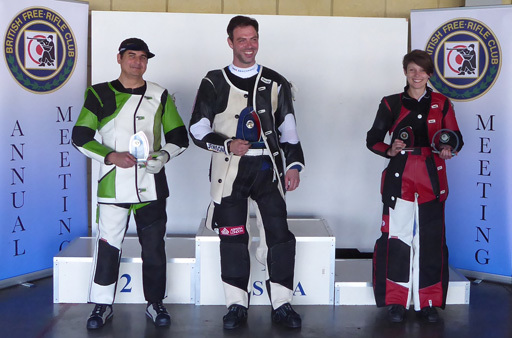 Keith Simmons took the gold slot with the best score of the day, 245.7. Dom Cowen improved on his performance in EM2 to take the silver medal with a score of 244.6 and Robin Taylor moved up the ranking to take bronze on 223.0. 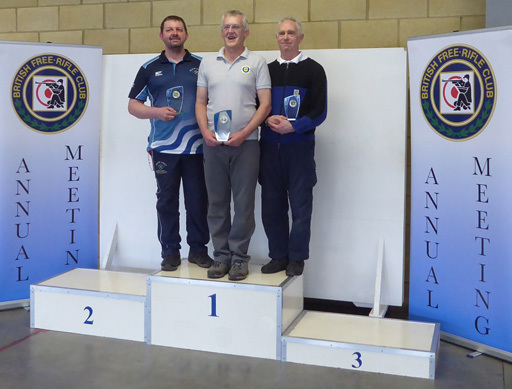 This year we had even fewer entries for the Air Rifle event, only 6 entered and one of those withdrew before the start the fact that the NSRA Air Championships were held the weekend prior may well have had an effect. As it often is it was quite hot in the Air Rifle hall and competitors needed to take on plenty of fluid during the shoot. Hannah Pugsley showed she was in good form taking the top slot with a score of 618.1. Nizam Khan was second some way behind on 603.8, closely followed by Fabio Holder on 601.3. In the final Hannah continued to dominate and took top slot again with a score of 245.2. Fabio improved his position to take silver with a score of 239.3 and Matthew Man came through to take bronze on 218.0. Sunday morning saw our normal set-up for a 3P match. Again entries were down, possibly due to major contenders still not back from the Commonwealth Games at the Gold Coast. This year we only had 5 men and 2 women competitors. Conditions again were quite tricky with it being difficult to read sudden switches in wind etc. Hannah Pugsley was top scorer with a fine 1131 and Matthew Man was the best man on 1122. After the qualification stage a couple of the rubbers were brought back to show shooters that the 8s they had doubts about were in fact correct. Conditions did not get any easier for the final, with the wind switching around quite quickly. Positions kept changing through the kneeling and prone sections, but at the top Fabio Holder managed to pull away with a lead of 4.9 over second placed Nizam Khan, Hannah Pugsley being only 0.8 behind in third. Despite some ups and downs this is how it finished, with Fabio on 440.4 for gold, Nizam taking silver on 430.9 and Hannah confirmed her bronze medal position on 422.7. As always the BFRC is indebted to all those who helped to run the range over the 2 days. These meetings cannot go ahead unless there are enough staff to keep on top of the problems that invariably crop up (luckily very few this year). Also thanks have to go to the NSRA range staff who have managed to get the ageing equipment all working correctly. Also my thanks also go to the shooters, without you there would be no meeting. Hopefully we can get a few more again next year as there will not be a clash with the Commonwealth Games.